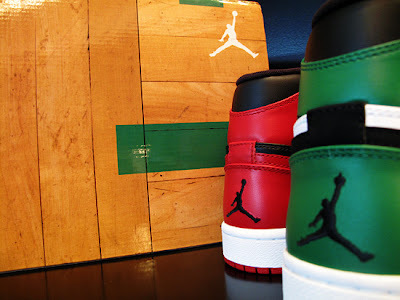 ANIVRAM REPRESENTING SNEAKER CULTURE: Air Jordan 1 Retro Defining Moments Pack 'Bulls vs Celtics' Out Today! 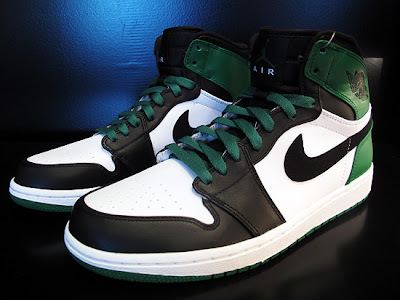 Air Jordan 1 Retro Defining Moments Pack 'Bulls vs Celtics' Out Today! On April 20th 1986, Michael Jordan scored a total of 63 points against the Celtics on their home turf. Now 23 years later, The Air Jordan 1 Retro DMP 'Bulls vs Celtics' have finally dropped as part of the Air Jordan 60+ Pack, part of a line up of sneakers honoring the games in which Michael Jordan scored 60+ or more against a team. Along with the sneakers you get a killer looking parquet box, that is remincesent of the old Boston Garden parquet floor from back in the day. 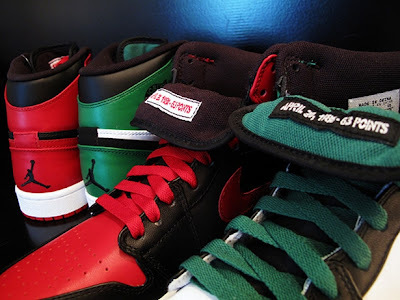 Two Air Jordan 1 Hi Retros will be featured in the pack, a red/white/black version representing the Chicago Bulls and a green/white/black version representing the Boston Celtics. 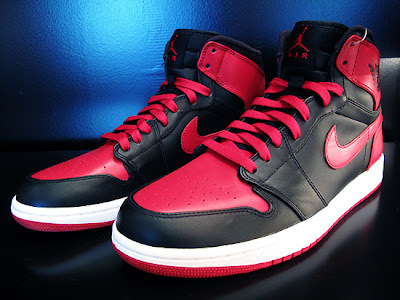 The shoes are currently available at any Jordan Brand retailer for about $225 USD.